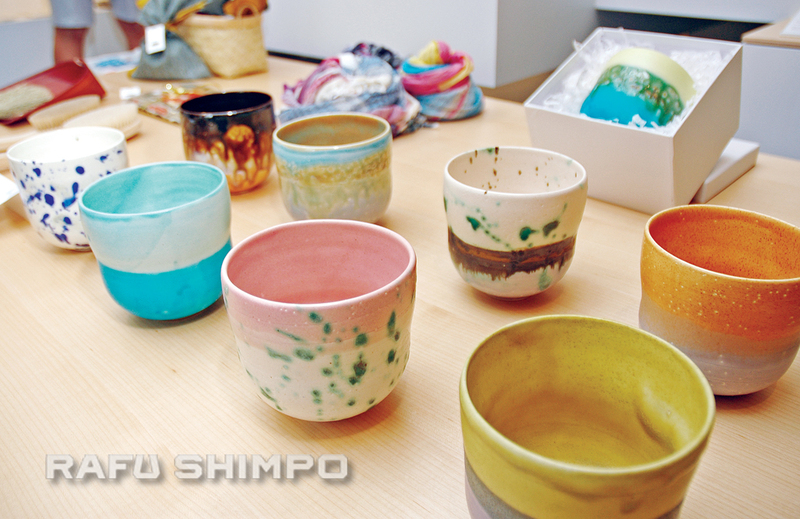 The Monozukuri Shop at Japan House, located on the second floor of the Hollywood and Highland complex, is a visit into the unexpected. This holiday season, there is an emphasis on renewable and reusable materials, crafted into items with a distinctly Japanese sensibility. Paper, wood, and vintage textiles find new life as useful and inspiring items for the home or as truly surprising gifts. Magewappa is a centuries-old woodcraft technique that is made by bending very thin fibers of Akita cypress. The result is an item of natural wood patterns with the delicate fragrance of cypress, smooth to the touch and a warming presence. 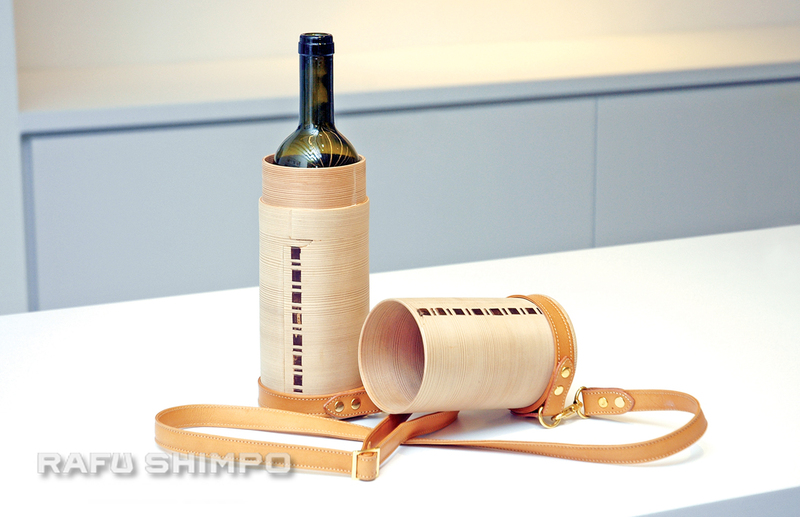 The shop has a collection of Magewappa creations from cups and bento boxes, to this bottle case with tanned leather strap, priced at $1,700. 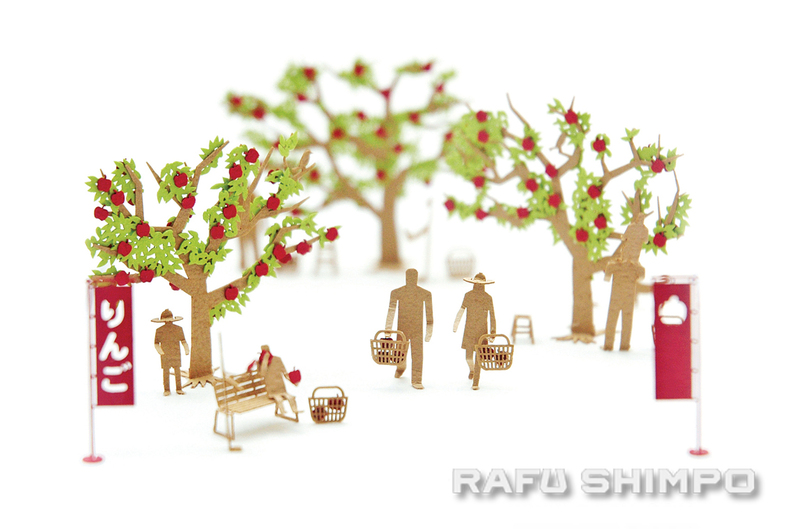 Taking papercraft to a new (and tinier) level, Terada Mokei are fun-to-build $25 model kits with a selection of scenes on a 1/100 scale. Tools needed include glue, toothpicks, cutting blade, and – of course – tweezers. Above, it’s a relaxing day at the orchard, complete with trees bursting with apples and visitors filling their baskets. 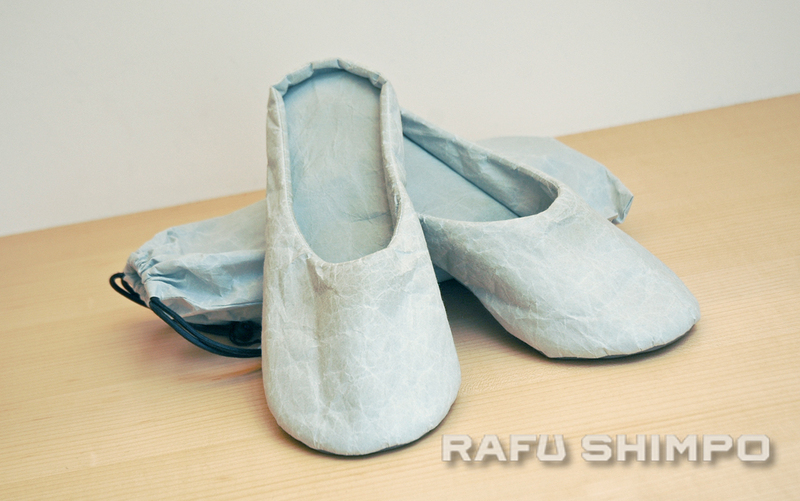 You’ll be walking on washi in these paper slippers from the SIWA series by Onao. Durable and waterproof, they have non-slip soles and sell for $112. 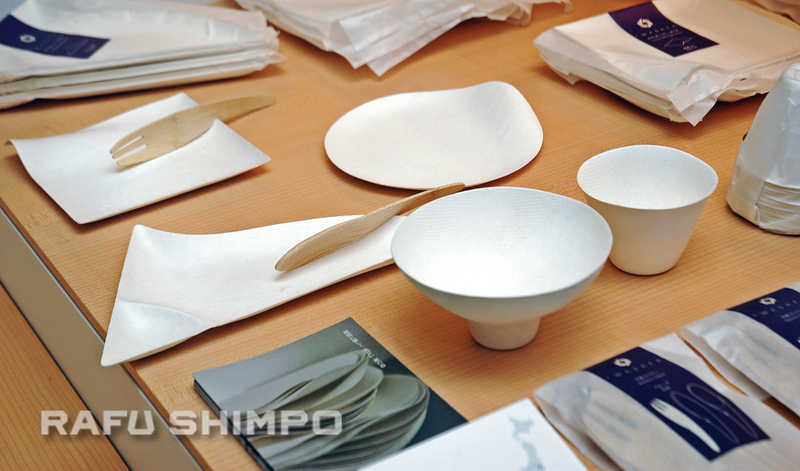 This compostable tableware by Wasara is constructed of a hefty paper with a natural grain and pleasing texture. $8-11. 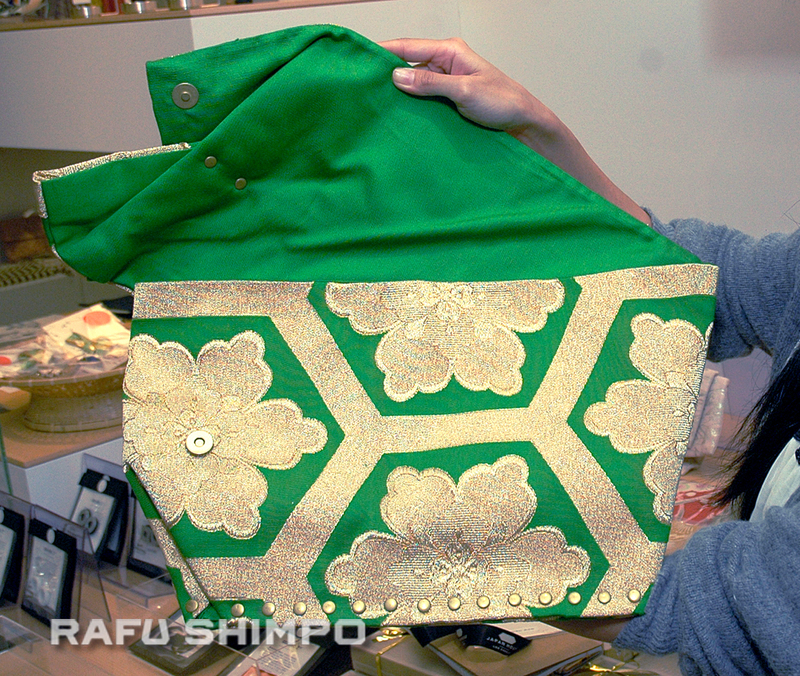 A Miobi bag, made from vintage kimono obi, utilizes the original beauty of the traditional garment. They have a texture and scent that might bring back memories of home in Japan. $66 – $280. 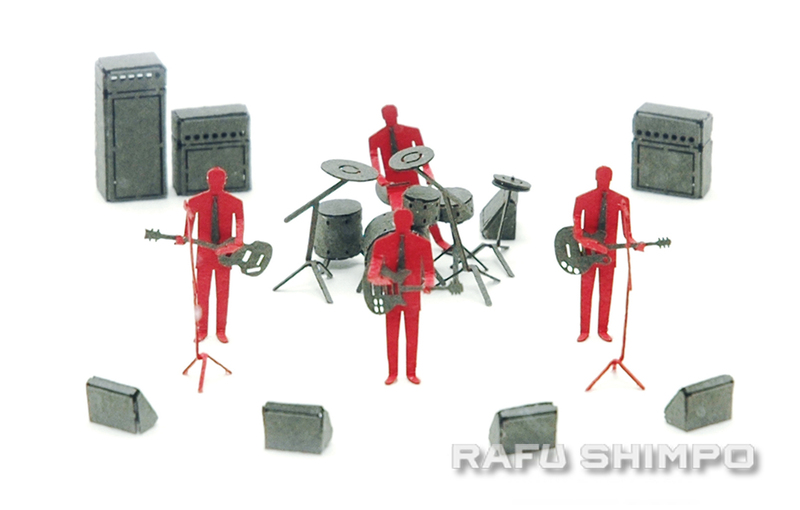 Yeah, yeah, yeah, the band is back together for a very little bit of rock and roll. $25. 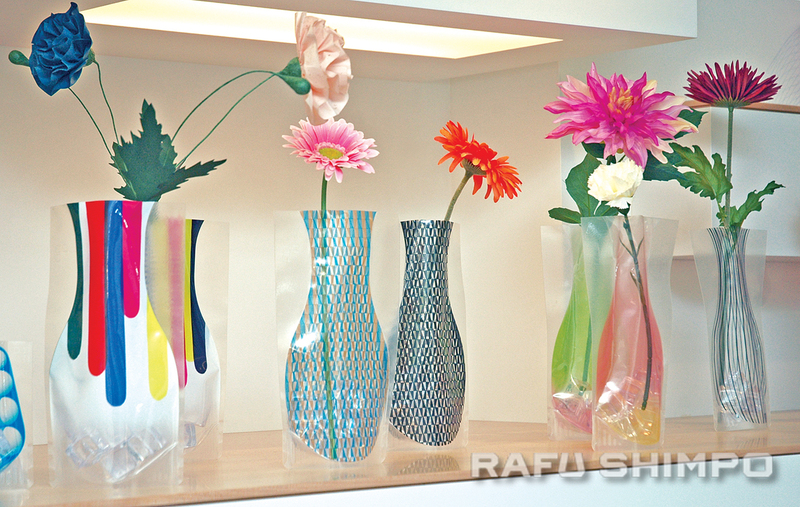 Elegant cellophane flower vases, $18-$32. A project of the Japanese Ministry of Foreign Affairs, Japan House brings aspects of Japanese culture to three great cities: London, Sao Paolo and Los Angeles. The L.A. location is composed of an art gallery, gift store, salon room, restaurant, cafe and library. 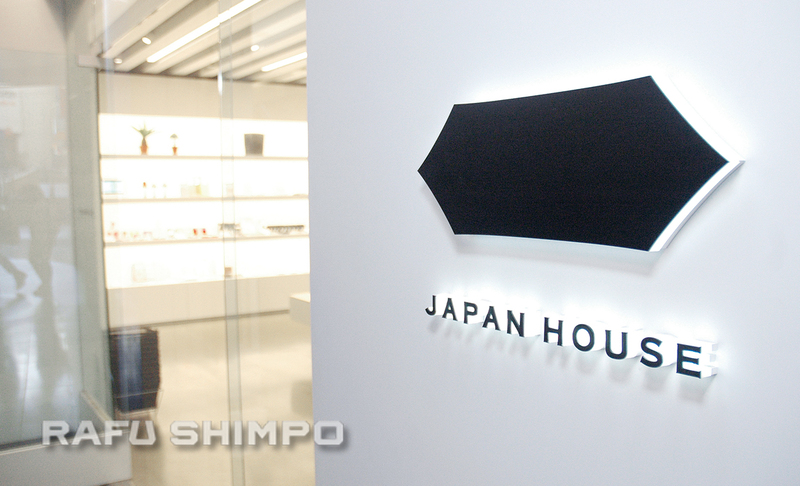 For more information, visit www.JapanHouseLA.com or call (323) 467-7718.